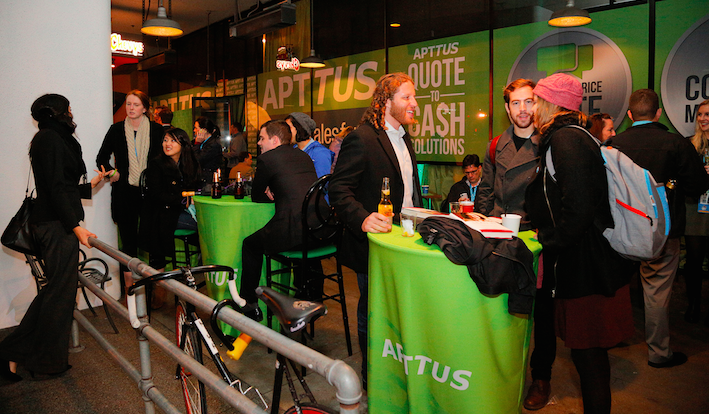 As a top-tier (Titanium) sponsor at one of the world’s largest cloud-computing events in the world, Apttus always makes a splash with multiple booths and offsite events. 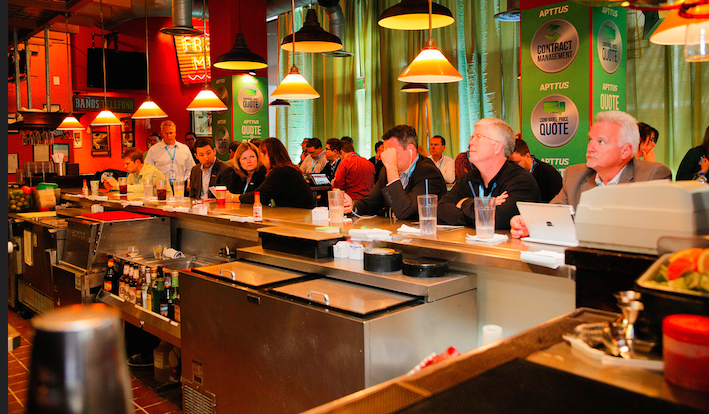 Drive Production turned the nearby Chevy’s restaurant into a full blown executive conference center. 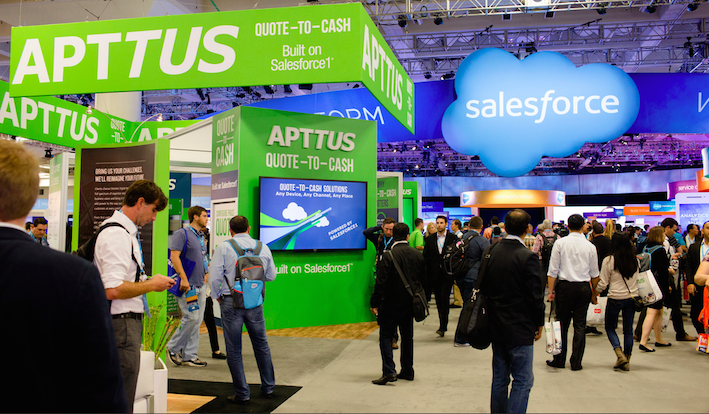 The restaurant furniture was removed and replaced with pre-fabricated meeting rooms, large format graphics, projectors with live-streamed keynotes and a constant flow of delicious tex-mex food and drinks. 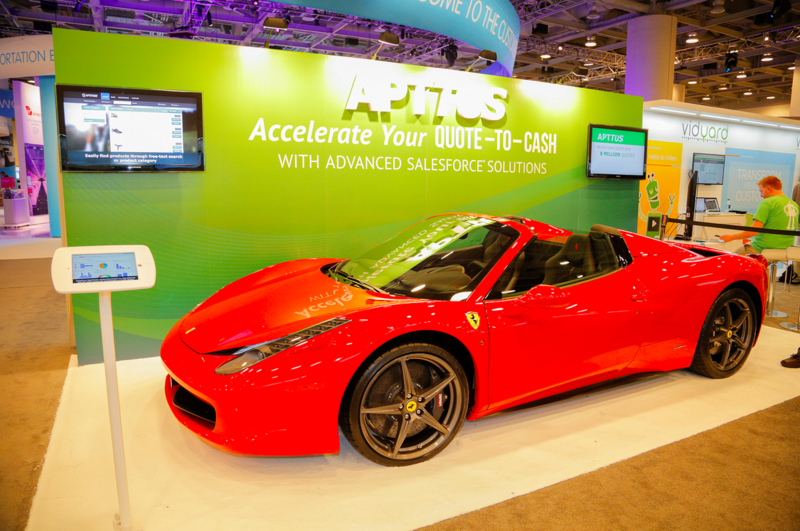 In addition to Apttus “Green Zone” at Chevy’s, Drive Production also managed Apttus’s many breakout sessions (spread out across multiple hotels throughout downtown San Francisco) and booth set up and tear down.